Rule-based model transformation approaches show two kinds of non-determinism: (1) Several rules may be applicable to the same model and (2) a rule may be applicable at several different matches. If two rule applications to the same model exist, they may be in conflict, i.e., one application may disable the other one. Furthermore, rule applications may enable others leading to dependencies. The critical pair analysis (CPA) can report all potential conflicts and dependencies of rule applications that may occur during model transformation processes. This paper presents the CPA integrated in Henshin, a model transformation environment based on the Eclipse Modeling Framework (EMF). 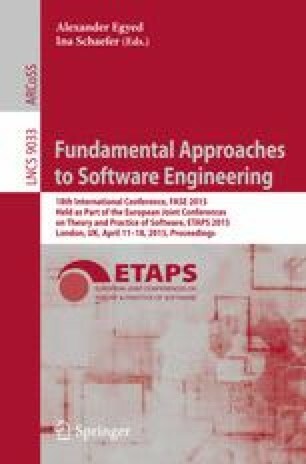 This work was partially funded by the German Research Foundation, Priority Program SPP 1593 ”Design for Future – Managed Software Evolution”.